Confirmation Email /Itinerary Receipt It is the graphical travel documents issues by the aircrafts which confirms the key information about the trip and accompany the traveller through his trip. 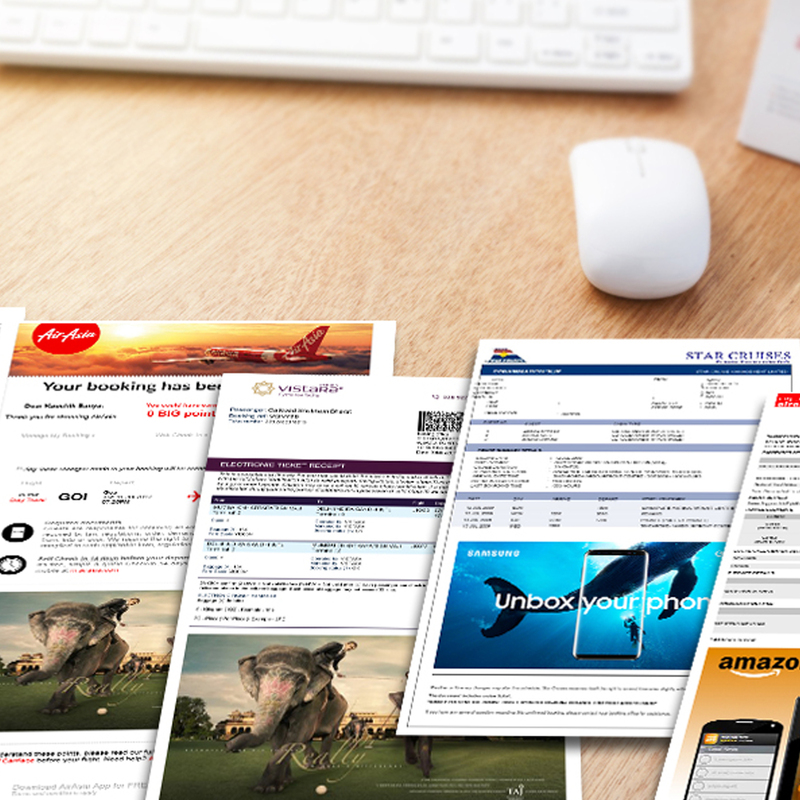 Advertisers on this email have the perfect opportunity to engage with passengers in the early planning stages of their travel and provides high level of retention and review rates. 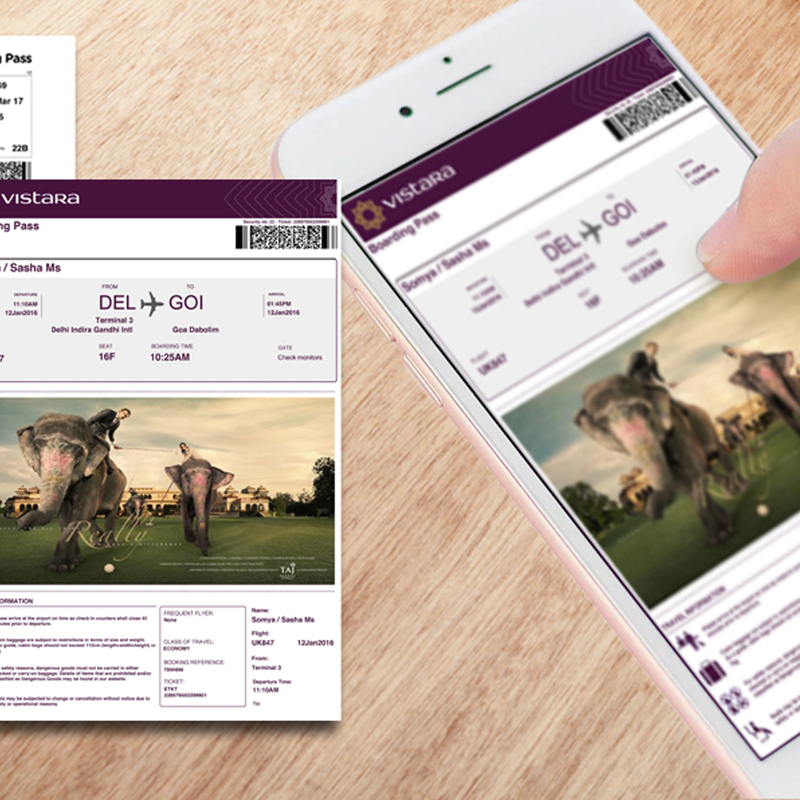 Issued by the airline, the boarding pass is viewed online and printed by the customer at home or at the airport. 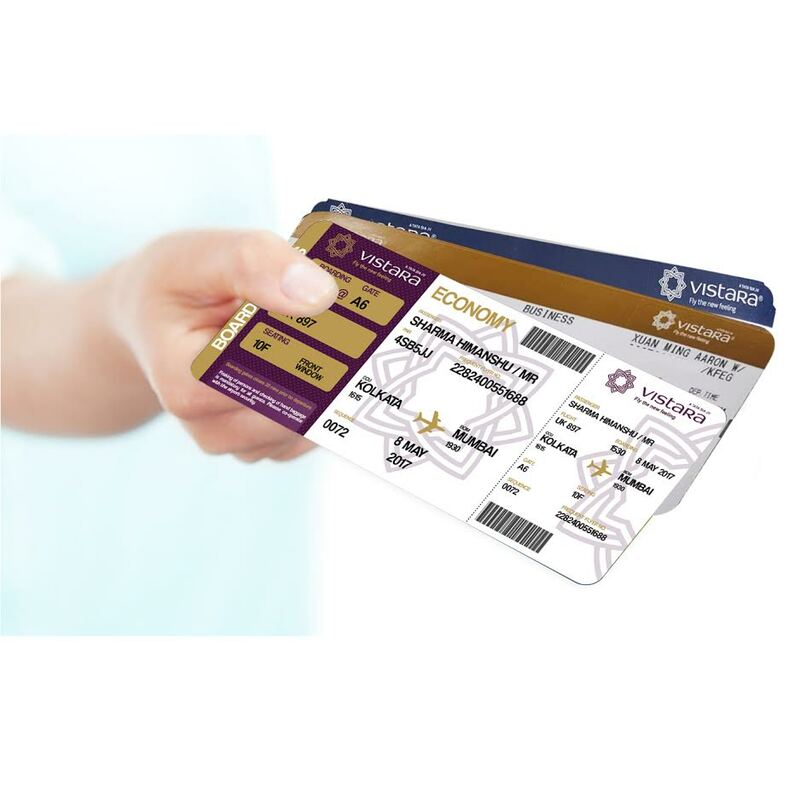 The boarding pass remains with the passengers throughout the entire flight and normally in the passengers hand, thus ensuring 100% advertisement retention. It is normally considered that these advertising option are frequently viewed at least 4 times, with an average 30-hour time-span during which the boarding pass is viewed before flying. 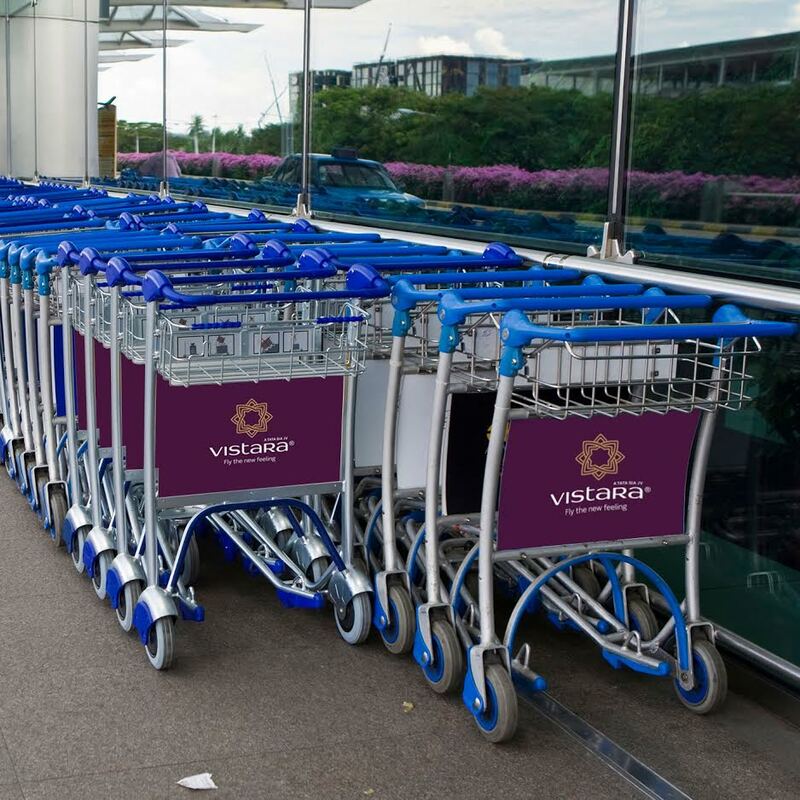 The easiest way to disperse an advertising message at the airport is through mobile advertising on Baggage trolleys. What makes them unique is that they are cost-effective media for brands and are used by 90 per cent of the travellers at the airport. The advertisements displayed can be done on the front, back and the side of the trolley so as to be seen by all travellers at the airport. An exclusive, efficient and cost-effective solution to present your brand to in-flight travellers. 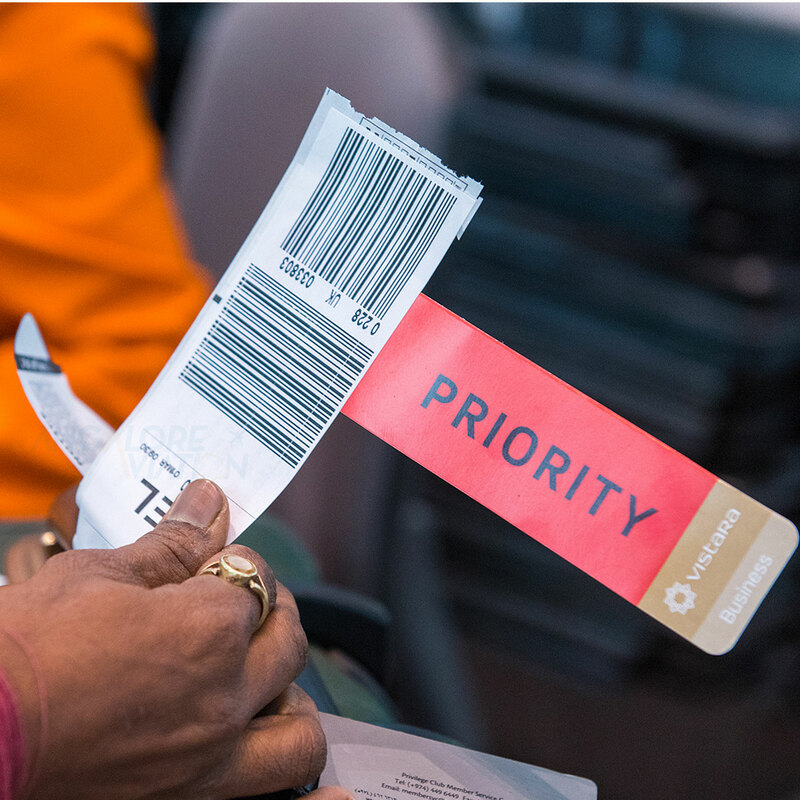 A boarding pass is, in fact, the most important document for domestic flyers and the second most after the passport for international travellers. A perfect advertising space for long-lasting impact and visibility as it stays with the flyers for quite some time. As the travellers relax in upscale, exclusive and sophisticated lounges, your product can be featured on digital screens, banners, tent cards etc to target the HNIs. 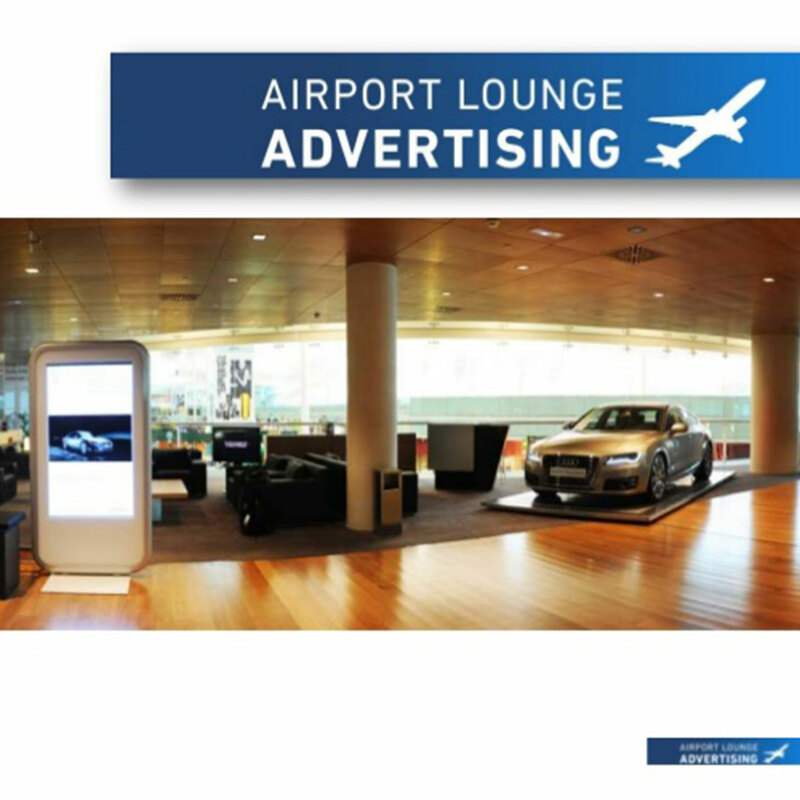 Airline lounge advertising reaches 40% of all VIP frequent passengers. Approximately 80% of lounge users recall at least one advertisement that they see at the lounge. Type: Vertical, Digital, Exhibit, Banners, Product Placements etc. Format: Static and full motion. Brand recognition and recall are something that every advertiser looks for. 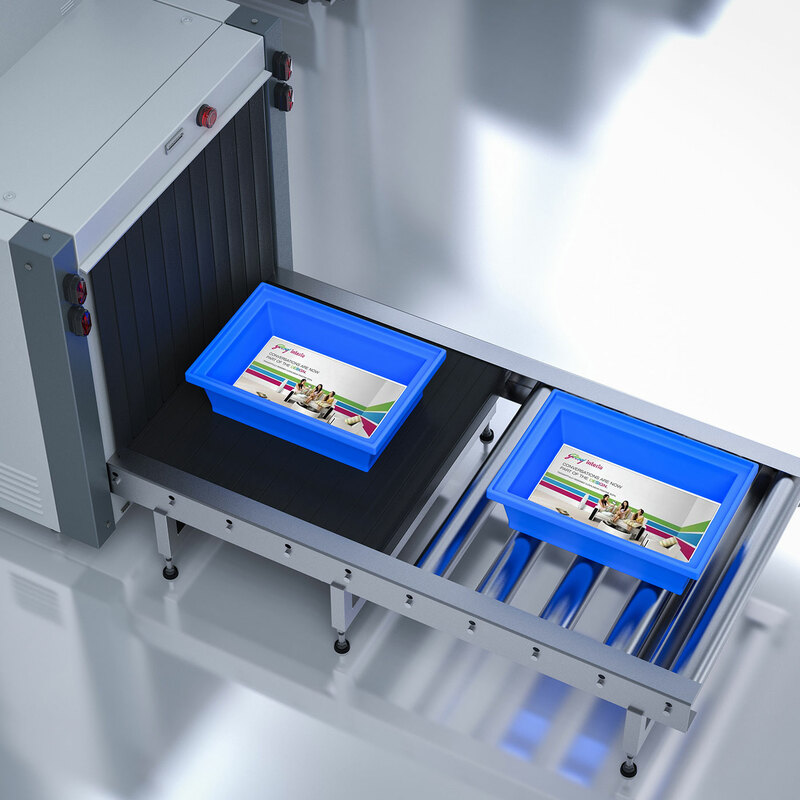 Hence, security check trays give advertisers the opportunity to engage to their target audience. One can get them customised according to the client too. This medium never goes unnoticed. Bus handles are a great platform to advertise. These can also be interactive in nature. 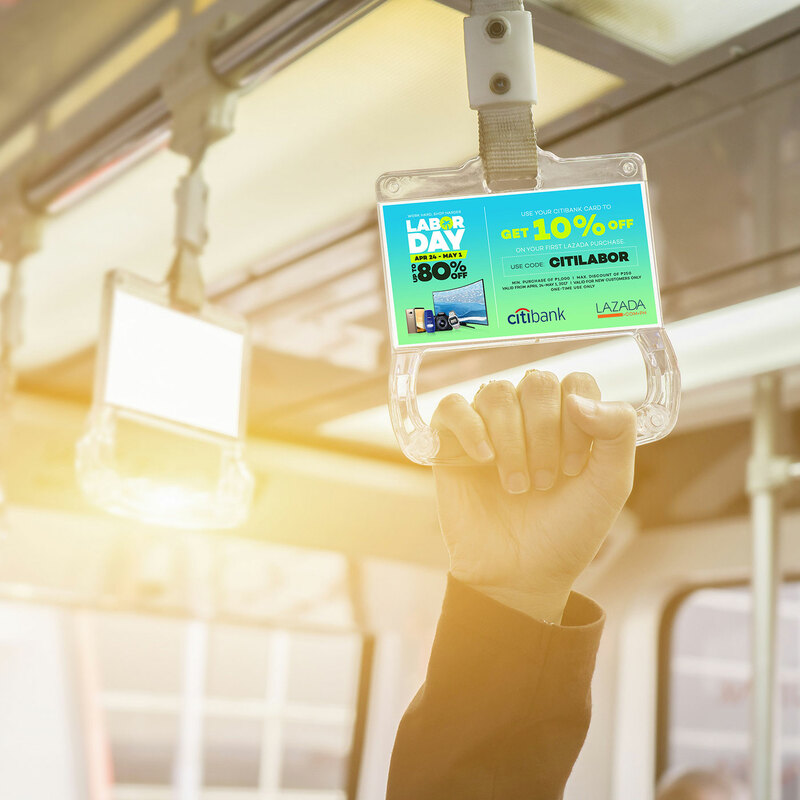 Passengers on a moving bus tend to grab onto something, therefore touching the handles, giving the advertisement higher visibility. 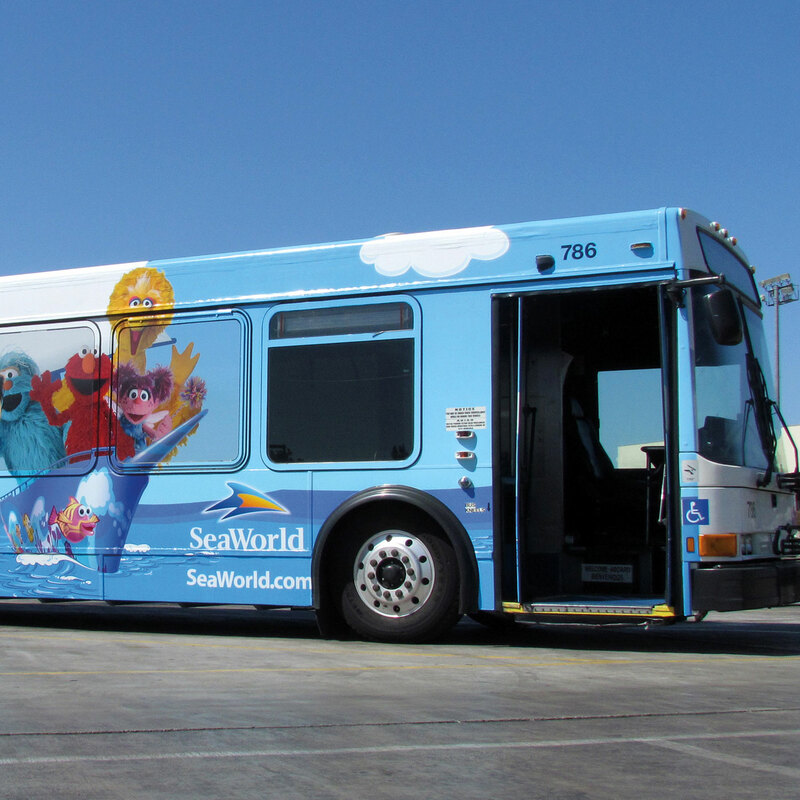 Bus / Airplane wrap helps brand for greater visibility. Advertiser can wrap the whole aircraft / bus from outside. 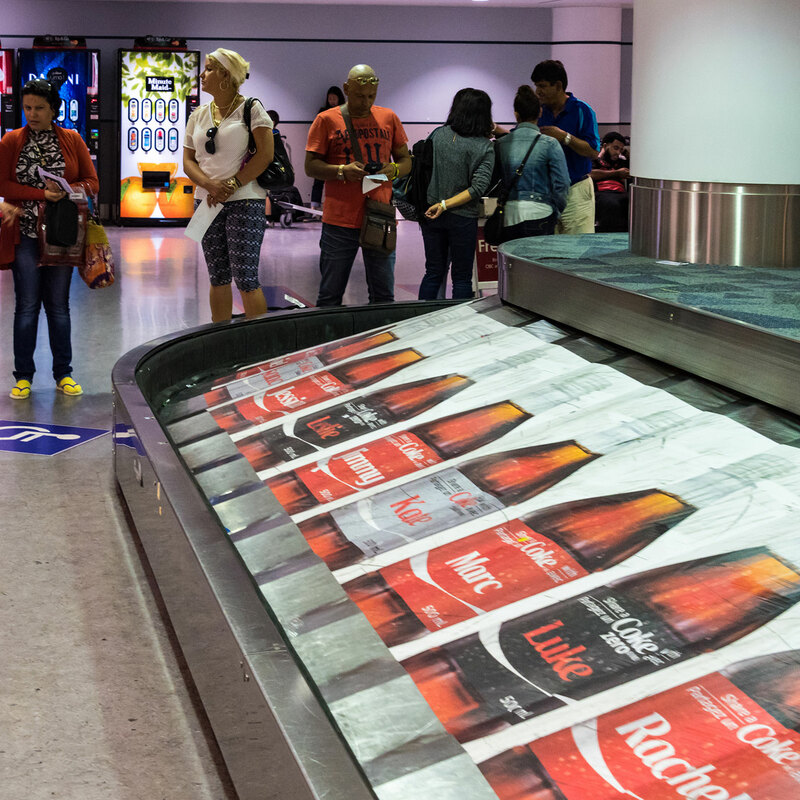 With an average wait time of 8-10 minutes, conveyor belt a place where passengers wait for their luggagethis medium of advertising gets a lot of attention and brand recall from the travellers.